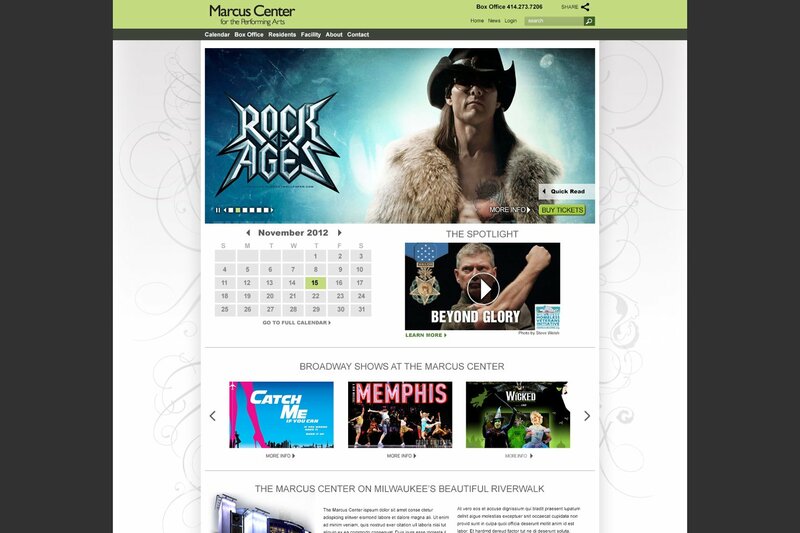 When it was time for a bold new presence on the local stage, the Marcus Center for the Performing Arts (MCPA) partnered with MZ to create and deploy a website showcasing all that they had to offer Wisconsin. The MCPA online presence must be worthy of the actual experience—highly visual providing a taste of the performance through imagery, sound and video. 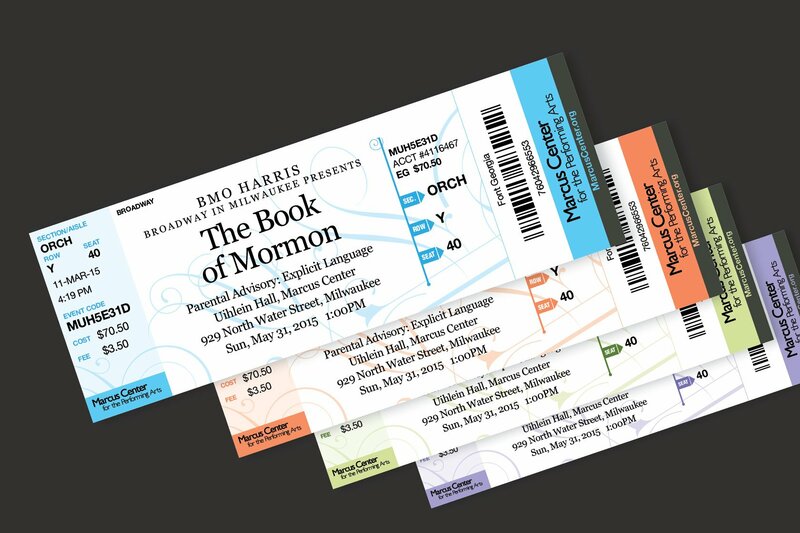 Central to the design and functionality is the calendar, presenting performances just as patrons may think about planning a night out and ultimately making a ticket purchase. Analytics tracking is compatible with Ticketmaster purchasing, providing a wealth of web traffic and data insights. Social media integration from Facebook to Twitter to YouTube videos are prominently displayed on show pages encouraging audience interactivity. Mobile-ready, responsive site design is a must as MCPA is fighting against other venues—be it the theatre down the road or restaurant across the street—for consumer discretionary dollars. The intuitive Content Management System (CMS) also allows the MCPA 24/7 access to content changes for all components of the site. From developing the essence of the MCPA brand as light and airy, colorful and diverse, playful yet refined, to creating the Oktoberfest logo, capturing the beauty of the facility in photography or designing show tickets, MZ has “touched” every aspect of the MCPA experience.